I love to investigate art, writing, and books. These five books are multi-layered both in art and writing. Four of them are non-fiction biographies and the fifth, “A Child of Books,” though fiction, could be the story of my life. I am working on creating a graphic memoir of my own childhood and I love the collage aspects of all of these amazing books. They are all visually, texturally, and verbally exciting and dynamic. Nina is giving away a signed copy of IF I HAD A LITTLE DREAM. To be eligible, be sure to comment on this post and strive to read mentor texts daily. 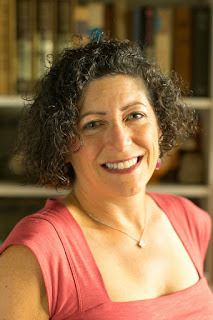 Nina Laden has written and illustrated books since she could hold a crayon. She grew up in New York City, the daughter of two artists, but now she lives on Lummi Island, WA and in her imagination. She is represented by Laura Rennert at Andrea Brown Literary Agency. As a writer-only, I'm trying to create books that allow for that layer the art brings. It's sometimes hard to imagine, without microimagining! Oh Jen, you hit the nail on the head. Thanks Nina for highlighting three books with distinct authors and illustrators. Great books to study for the layers that text supplies and yet leaves open for the illustrators. I always look forward to exploring what layers picture book creatives incorporate in their work. Can't wait to explore these! These multi-layered PB book suggestions are inspiring. And what a treat to know that you are writing graphic memoir of your own childhood... Best wishes! Thank you for sharing these wonderful mentor texts with us that show the power of illustrations. Thank you, Nina. It's true that the multi-layered trend we're seeing in pbs is just wonderful. I think this has grown out of the art journaling movement, and I especially love Melissa Sweet's approach to the last few pb bios that she has illustrated. Exciting to hear that you are planning a graphic memoir!! You've highlighted some great books that use effective multi-layering. And I am so glad you did because you mentioned one I am not familiar with: Cloth Lullaby. It looks wonderful. I need to find this book! You've chosen some gorgeous books here, Nina - they are among my all-time favorites. I love books with layers. It's something I want to do in my own writing. Waiting for my copies of these books to come into the library. Thanks for sharing! "SOME WRITER- The Story of E.B. White" is a mentor text of mine. Books with layers are ones I connect to and admire! Great books selection and i managed to pick up all of them at my library. Ready to dive in and look for payers. Nina I look forward to reading your suggestions. There are many ways to create a mood and understanding through the written word and the illustrations that enhance the text of the book. Thank you for your post. Thanks for the suggestions Nina. Several are new to me! Back to the library.. I, too love textured biographies. Thanks for sharing your examples. I've read all but one. Can't wait to find it. Several of these are new to me, also. I'm looking forward to checking them out. A layered book is what we all hope to achieve! Thanks for these examples to inspire. Thanks for the book selection. What a great booklist! Thank you, Nina! LOVE Cloth Lullaby so much, Nina!! I first fell in love with the cover, and pre-ordered a copy right away. I was not disappointed--the text is lyrical and lovely too. Thanks for the other recs!! looking forward to reading them and depicting out all the visually, texturally, and verbally exciting and dynamic places! Hi Nina - thanks for reminding us to look for layers as we read mentor texts and to include them in our own work! Loved Some Writer! Such a great way to present a biography to children AND to adults. Thanks for sharing your thoughts and congrats on your talents as an illustrator. Without illustrators, where would we picture book authors be? I have yet to secure any of these from my area libraries, but I will do my best to get copies in my hands soon. I know they are all winners! I love the depth of multilayered texts. Thank you for sharing these! I loved the art and writing in the ones on your list I have read, and I am looking forward to discovering the art and writing in the ones I have not. Thank you for these wonderful titles. I've been wanting to get my hands on Radiant Child and Some Writer. They will be on my next library list! Loved these books. Thank you for the great post! Thank you for these layered and dynamic choices. The covers are so visually stimulating and I can't wait to soak up the words. 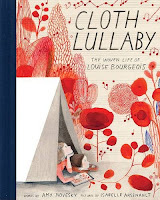 I just read CLOTH LULLABY and loved it! Great list, Nina. Your new PB looks lovely--can't wait to check it out. Thanks for the post! So glad you like LITTLE DREAM! I'm loving all the comments- wish I could reply to each one. My year old granddaughter absolutely loves your Peek-a Who? series, Nina. Thanks for the rich mentor text suggestions. Can't wait to read your memoir. 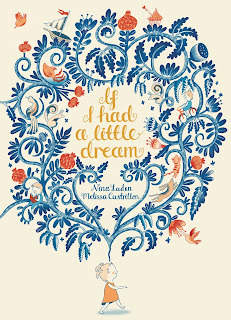 What gorgeous cover art on "If I Had a Little Dream"! Debut illustrator Melissa Castrillon from England is amazing. Great post, Nina! I love Non-Fiction Picture Book biographies. At the moment I am currently working on 6 of them, including 2 that are series. Thank you for the multilayered mentor text suggestions. We are practically neighbors! I went to college in Bellingham, but now live in the Yakima Valley. Thanks for the great post! I've read half of these and I look forward to reading the other half today. Thank you for the suggestions! I haven't read all of these, but I look forward to checking them out! Thank you! I absolutely love A CHILD OF BOOKS! Great choices for mentor books. Art adds such depth to books. Thanks for the lovely mentor text suggestions. I had to purchase a copy of SOME WRITER! for myself, it such a treasure. Looking forward to reading all of these. I need to thank you for introducing me to A Poem for Peter and Some Writer. A few months ago, I read Charlotte's Web again for the first time in years, and found myself crying on a New York City transit train in public over a dead spider. In my adult life, E.B. White managed to touch me again, this time even more (I am a HUUUGE pig lover). This morning, also on the train during my snowy commute to NYC, Pinkney's words on equality and opportunity presenting itself like a whole new world on a snowy day, well, that just couldn't have been more timely or appropriate for this very morning and this very America. It was beautiful, and these texts were a wonderful mesh of art, words, and emotion. Looking forward to reading these selections! They look wonderful and inspiring! Thanks for this post! Thanks for the great book list. Love the comment that you live in WA and your imagination. Lingering and enjoying these selections this morning was so wonderful! Thank you for choosing " ... visually, texturally, and verbally exciting and dynamic..." books! Great post, Nina! 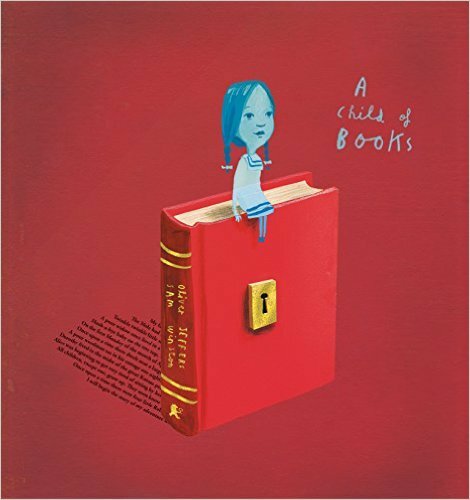 I'm obsessed with A Child of Books, and I've gifted it to every child in my immediate and extended family! I also love the Story of E. B. White. Nearly 30 years after I first read Charlotte's Web to my children, I cried again when reading it to my grandchildren. I love your book choices. Some writer the story of EB White is so rich visually and in reading enhanced my love for EB Whites work. A Child of Books is so creative. I'm glad you brought it to my attention. The cool thing about your selection is that it shows such varied ways to incorporate collage. Just like drawing and painting can have so many styles, collage can be soft, bright, informative, abstract, etc. Thank you! Some of these are new to me and I'm excited to read and study them. Thanks for the titles. Excellent suggestions for studying the combination of words and art. Thanks, Nina! "They are all visually, texturally, and verbally exciting and dynamic." I so agree with you, Nina :) These books are gold. I've enjoyed plunging into each of these examples. Thank you Nina for this multi-layer titles. I love it! Thank you for suggesting these beautiful books? Great selections. All require multiple readings. Thanks. More books to read!!! Yea!! Thanks! Some of my favorites here! Thanks, Nina. Beautiful books to read on this snowy Friday! Thank you, Nina! 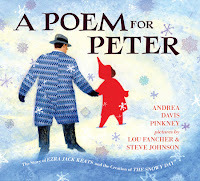 I loved a Poem for Peter - it was fascinating learning about Ezra Keats's life. Thank you. NINA: I LOVE all the books you've recommended! And I LOVE, LOVE, LOVE, LOVE "If I had a Little Dream"! SO BEAUTIFUL! THANK YOU for sharing your AMAZING talent!!! Thanks for these great selections. Texts that are richly layered with art and writing speak to us again and again. Looking forward to reading your latest book! Nina thank you for sharing great tips for mentor texts. Thank you Nina! I love the collage aspects of these books. They're all so beautiful to look at and of course read! I like that in your bio you mentioned that you live in your imagination. Isn't that such a happy and lovely place to live? Thank you for these recommendations! I have always loved collage. In A Poem for Peter collage is such a fitting illustration technique because the text and illustrations weave together past, present, reality, imagination, and even other books. What an interesting combination of books, Nina. Once again, great themes can be found from our own work so we can "research" how others have pursued similar topics. Good luck with your memoir. I've been wanting to read these books. Now I must. Thank you. I love collage-heavy books. I'm thinking back to a childhood filled with the like of Eric Carle, and how I loved making collages in art class. As someone who's sort of taken for granted that I should submit text-only manuscripts, it empowers me to remember that collage art has a very significant place in children's literature. Love these mentor texts. Thanks for sharing. I can't wait to read these excellent books. I love the title, SOME WRITER! Thanks, Nina, for the great suggestions. I'm currently reading SOME WRITER! It's luscious. But so are the others. Hats off to those who created stunning visual art! Thank you, Nina, for these great recommendations. I think reading books with layers in both art and writing are wonderful adventures. There are new things to enjoy and discover with each read. Lovely mentor texts. I look forward to reading them, thanks. So far I haven't written memoirs, but I know that there is a piece of me in every story I have penned. I have a feeling that is true for most of us. Thanks for the reminder to keep it real! 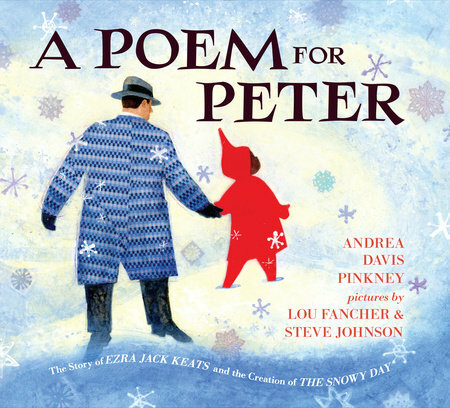 I have had A Poem for Peter on my library reserve list for a while, and I just received an email that it is finally my turn to have it! Looking forward to reading it and your other suggestions. 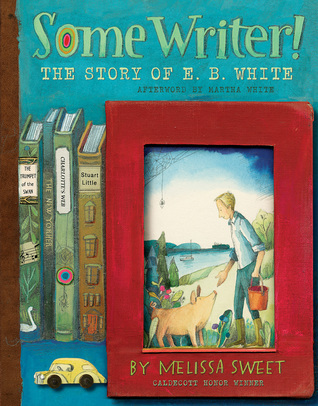 I loved the book on EB White! Wow, so inspiring!! Thanks Nina...love the reading suggestions! I also look forward to your new book...One of my favorites; The Night I followed the Dog...was one of my favorites! Thanks for new books for me to explore. As a writer, I love the idea of even the text being a kind of collage. Thank you for sharing! It is amazing how I can learn something from a book when looking at it in one post, and then learn something completely different after reading it again in a different post. Excellent titles that feature multi layers. Thank you for the inspiration, Nina. I've read the first 3 books so far. They are amazingly beautiful in many ways. Inspiring stories, too. Thanks! I'm delighted to see that you picked "Some Writer" (which some argue is NOT a picture book because of its length). It's such a gorgeous book and definitely worth the comparison and study. Many thanks for these recommendations. All such gems. I now have Some Writer on my nightstand and can't wait for bedtime! I adore SOME WRITER! I'll have to check out the others; thanks for the great recommendations! Thanks for sharing your thoughts on these great books. Some writer is a favorite of mine. Thanks for the great reading selections! There are a couple here that I might not have chosen on my own--love that ReFoReMo opens my eyes to new books. I especially loved Radiant Child and A Poem for Peter--beautiful writing, amazing books. Great questions to ask as we enjoy the mountain of great books before us. Reading and enjoying is not enough. Analyzing the craft is key. Learning from the best, with your help. Thanks! Thank you for this list! Most of these titles are new to me. I'm excited to get my hands on new textured and dynamic reads. Thank you for these suggestions. I'm really enjoying "Some Writer". Best of luck with your graphic memoir, Nina. The cover art of "If I Had A Little Dream" is stunning. Looking forward to reading it. Thank you for these suggestions. I have to read "Some Writer" still, but what beautiful books. 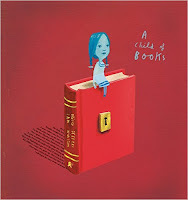 As an illustrator I love books that work hand in hand with the illustrations. These are definitely books I will be adding to my library. Thank you for your post! Thank you Nina for the gorgeous and lovely titles! 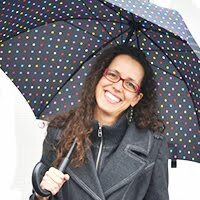 Nina, thanks for your ideas on how to bring different layers into a picture book. I like the concept of a story being presented as a collage. Your recommendations for mentor texts are appreciated. What's wonderful about ReFoReMo is looking at the mentor books together. Love your "multi-layered" comment - each of these books are truly that. The struggles and the passion of each individual shines through, and grounds each story --- even more so as we compare and contrast each book. Great post. Great picks. I've been re-reading Some Writer this Winter and it's like a warm hug. I love all of the layers and the beautiful illustrations. Thank you for sharing these beautiful books. I love when PBs are layered in both art and writing. I’m a huge fan of Melissa Sweet for this reason! I never thought about the layers of a book until I went to write one myself. As a reader, I had only enjoyed the complexity of the stories...I didn't analyze why I loved the book so much. But now I am beginning to understand a lot better. ;) The books you listed are absolutely beautiful...I've read three...must get the other two! Thank you for a wonderful post! A few books on this list are new to me,thank you for providing these beautiful examples! Wow, these are amazing mentor texts! The words and images really take you on a journey. I write PB biographies and so especially found this post inspirational. Thank you! Thank you for the inspiring list of books. Thank you for reminding me that picture books are not just words! As a writer, I tend to focus on what I do and not look at the many layers that transform a book into something beautiful. I also just ordered your books and can't wait to get them! Thanks for the list. I can't wait to check these out for multi-layering. I love Keats picture books and didn't know there was a biography about him. I cannot wait to read it. Great art and great list. Thank you, Nina. All of these books are so visually entrancing which has everything to do with the illustrations. But I see how the art chosen to go with the words created this reading bliss. Had it not been those exact words, the illustrator may not have chosen that specific artwork to go with. Great eye Nina! I'm loving the focus on non-fiction and how it has changed so much over the years, thanks for sharing! As a new writer, multilayering is a new concept I have come to know. Will explore more through these books. Thank you. What amazing art and lyrical language. Wonderful suggestions. Adding all these books to my pile! Thank you! If I had a little dream looks wonderful, too! Thanks for pointing out these books with layered illustration, Nina. I had the pleasure of seeing a children's book art exhibit at Brandywine River Museum last fall and got to see some of Melissa Sweet's work in person. It was even better than in the books--and the books are amazing. Nina, I absolutely love your book, If I Had A Little Dream, and the list of mentor texts you listed in your post just sparked a new concept. Thank you and congrats on your continued success! I was amazed that these books had such an emotional impact on me as I read them. Had to order several for my personal library, especially Some Writer. Wow! This selection of books quickened my heart! Simply gorgeous on every level, er, layer. Thank you for introducing them to me!! Thank you, Nina, for bringing these lovely books to our attention. The titles alone say so much in just the right words. Thanks for sharing, Nina. 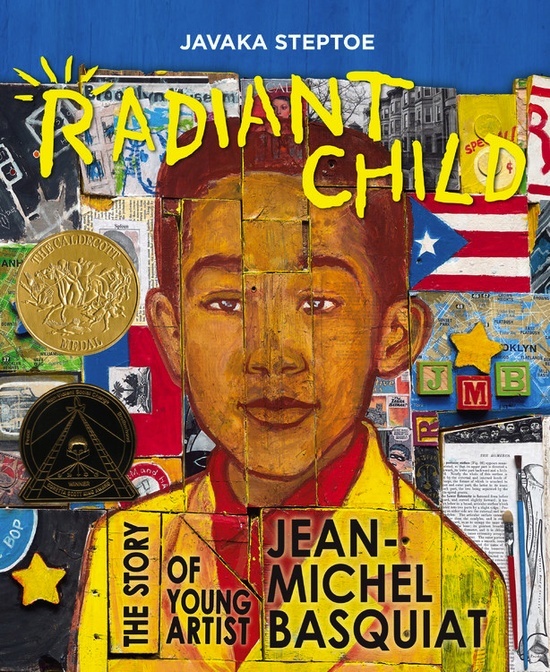 Radiant Child by Javaka Steptoe is multi-layered both visually and in story. I'lll have to check out the others. What a great list of recommendations! Thank you! Looking forward to reading these books. Thank you for the recommendations! I was just reading another source about the added value of multi-layer books. The author reminded writers not to force in extra layers, but so many stories/concepts seem to naturally include them. Thank you for sharing.